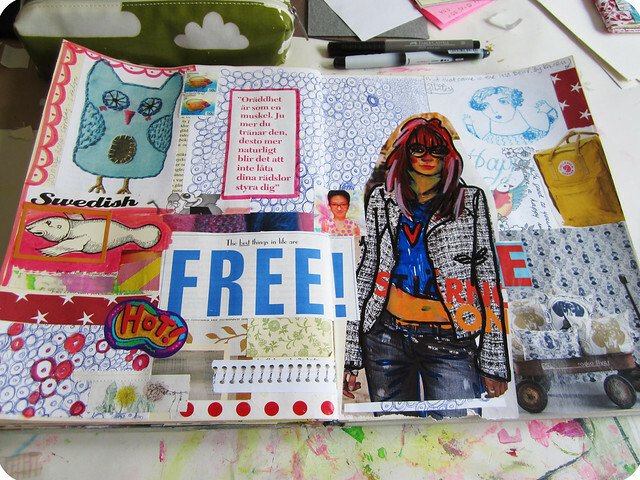 Another quick glossy collage in my art journal, contradicting the “art” part but very much feeling like “a journal”. Like a home of random things, of my ephemera. Again, a thousand circles living on one spread: polka dot wrapping paper and recycled office/meeting doodles! Each page includes so many different elements and ideas. …or cut out designed items you appreciate and just glue them in there too! This entry was posted in Art journaling and tagged altered book, art journal peek, circles, ephemera, magazine, randomocity, wrapping paper. Bookmark the permalink. I love these random pages. They tell a story all their own and are inventive, providing a wonderful memory of their own. love the randomness yet fullness of this page. so much to see. I love this! Why do you think it’s contradictory to “art”? Tack för finbesöket, och för en trevlig kväll på brodericafé! Varmt välkommen åter! Office doodles! I never thought to incorporate office doodles! Thanks! 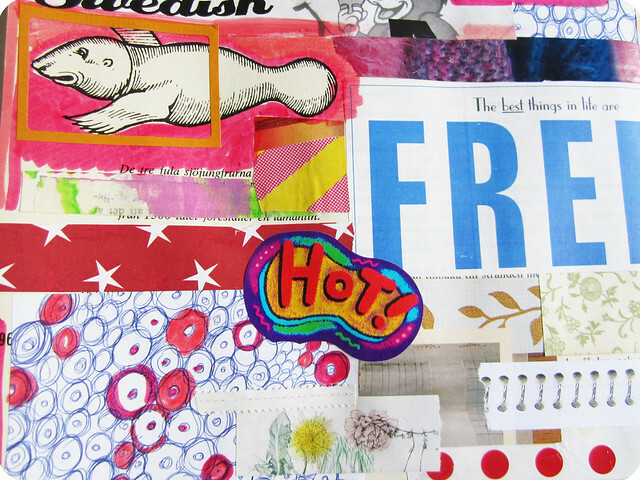 Love your blog and your art! These are really fun pages.